HTC Primo to be a budget Beats handset? 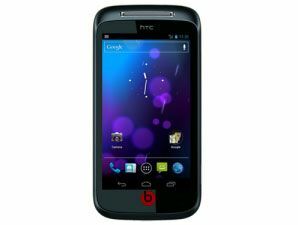 Details on a promising entry level HTC phone, the Primo have been leaked revealing a Beats Audio handset running the latest Android operating system, Ice Cream Sandwich (ICS) out of the box. The rumour was passed to Stuff.tv from an anonymous tipster within the Taiwanese firm – who disclosed that the Primo would be toting the new HTC Sense 4.0 overlay on top of ICS. Bearing in mind this is tipped to be a budget handset, the leaked specs are rather pleasing, with the Primo packing a 3.7-inch Super AMOLED touchscreen, 1GHz dual-core processor, 512MB of RAM and a 5MP snapper capable of 720p HD video capture. Add into the mix Dr. Dre inspired Beats Audio technology and the Primo could be one cool customer if it keeps to its entry-level price. No word on whether those sweet sounding Beats Audio Headphones we saw bundled with the HTC Sensation XE will be included with the Primo, but we are keeping our fingers crossed. Some renders of the Primo have been put together by Stuff.tv which suggest HTC may be ditching capacitive buttons, in favour of the new ICS system, which makes physical buttons redundant. Although we're unsure if the huge Beats logo plastered on the front is a good look - lets hope the finial design is a little less brash. The HTC Primo is expected to land at Mobile World Congress 2012 at the end of February, as part of a range of new HTC devices including the HTC Ville and the quad-core HTC Edge.